A wise man once said there are two types of people in this life, energizers and energy sappers and this week’s ‘Sports 360 Supremo’ is definitely the former. When you see him on tv, read one of his interviews or look at his social media pages (where he is king), Anthony Gelling brings life and a zest to everything and anything he associates himself with and for bringing that energy back to rugby league on these shores, he has had Sports 360’s ‘highest honour’ bestowed upon him. “Let’s pull together as a community. Let’s pull our kids off Fortnite, let’s put that Netflix series on hold and get a part of something real,” is a statement we can all learn from in the fast paced, technologically dominated modern world we live in. Dwindling crowds it has been said, are a by-product of a greater number of tv channels, on demand tv programmes, a wider variety of sport to play and watch, the popularity of video games and so on and so on, but others, such as renowned Boxing promoter Eddie Hearn have proclaimed that rugby league needs ‘stars.’………………Well let’s sing it from the mountain tops, because we’ve got one! Gelling represented Wigan with distinction between 2012 and 2017, with the cherry and whites winning 3 Super Leagues, the Challenge Cup and the World Club Challenge during that time. He played 115 games, scoring 52 tries along the way and provided us with some memorable moments. Away from the pitch he wasn’t bad either, as the famous BMX was known throughout Super League and although his hilarious charging down of Cory Parker couldn’t prevent the Broncos beating Wigan on that occasion, he was part of the team that defeated Cronulla Sharks in 2017 and the BMX became a golden low rider. Without wasting any time (apart from being “jet lagged to the gills”) he posted inspiringly about the Widnes game on social media, helped his new team to victory with a couple of tries and then watched the end of the game with a star struck fan. In a world where money and fame can widen the gap between sports stars and fans, the Vikings’ newest recruit makes his own rules. 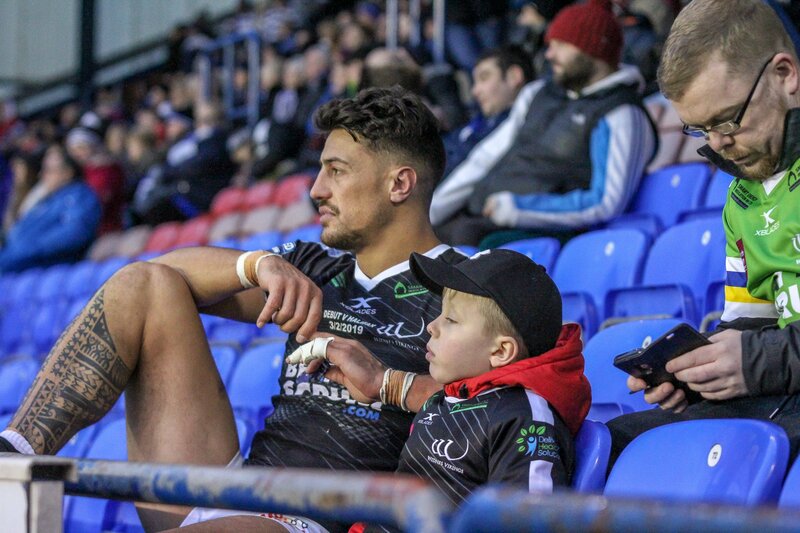 Nothing is out of the question where Anthony Gelling is concerned and we, like everyone else, can’t wait to see what’s next. So get yourself down to Arkitect Barbers (opposite Natwest), dig out your old BMX, and sit back and watch this week’s ‘Sports 360 Supremo’ do his thing!